Good news for Chinese fans! Apart from her confirmed visit to Beijing in May, Shin Hye has opened a Chinese QQ microblogging account to interact with Chinese fans! "안녕하세요 박신혜입니다~^^ 오늘부터 함께해요 여러분>_< 떨리네요 두근두근"
Trans: Hello I am Park Shin Hye~^^ From today onwards I will be meeting with everyone here.>_< I am so nervous my heart is beating. As we know, Twitter is not accessible in Mainland China due to the internet blockage there, so Chinese fans often cannot get onto Twitter to read Shin Hye's updates. But now they'll have another way to interact with her! 2) Go to your email and click the link as stated below. 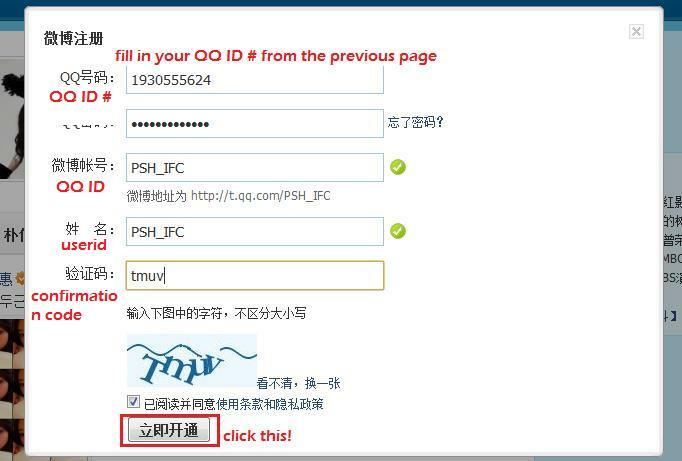 6) Fill in ALL fields, PASTE the QQ ID # into the first box. 7) DONE! 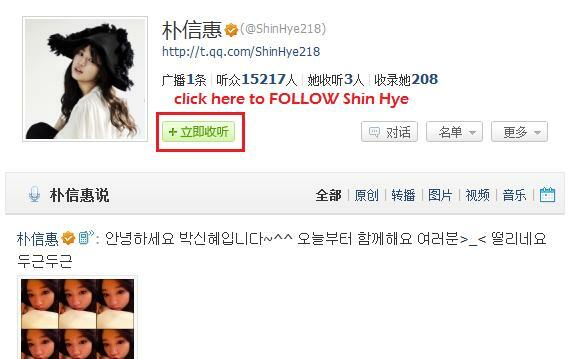 Now go to http://t.qq.com/ShinHye218 again and click on the GREEN button to FOLLOW SHIN HYE! Thanks Karen!!! Made my account last night with this tutorial!! Super awesome and she looks sooo pretty in that pix. sooooo pretty!!! Thanks for the instructions!It's really informative..=D Thanks Thanks Thanks.. I'm not sure where you are getting your information, but good topic. I needs to spend some time learning much more or understanding more. Thanks for wonderful info I was looking for this information for my mission.